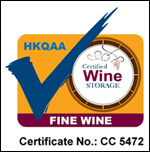 Dedicated to share the joy of wine appreciation, On Excel Fine Wines Limited specializes in wholesale and retail of quality red wines at pocket-friendly prices. Staying true to its objective of providing products and services of prime quality, On Excel features red wines flown from France. Most of our offerings rank from the first to third growths (premiers to troisiemes crus) on the list of the Medoc Classification of 1855, which are well-praised by the most renown American wine critic, Robert Parker. Other than quality, we also place great emphasis on the range of selection. Our offerings cover an extensive range of red wine produced in different years by many well-known wineries, especially the eight notable wineries in Bordeaux. Wine lovers will surely spoiled by our mind-boggling choices. Apart from striving to offer a professional and hearty red wine ordering service, On Excel also aims at promoting the red wine appreciation culture by introducing a great variety of good wine and brand in order to let our wine lovers explore the many facades grapes and wine.